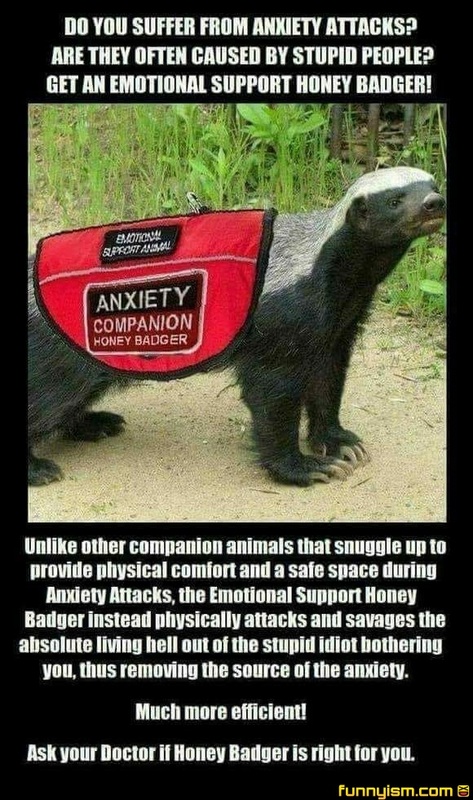 See, Honey Badger do give a shjt. He gives a shjt about you and your mental health. But...I'm the source of my own anxiety. Honey Badger don’t give a fvck.